I read Grid Systems in Graphic Design with great joy as it is a book that will both inspire and educate the reader. 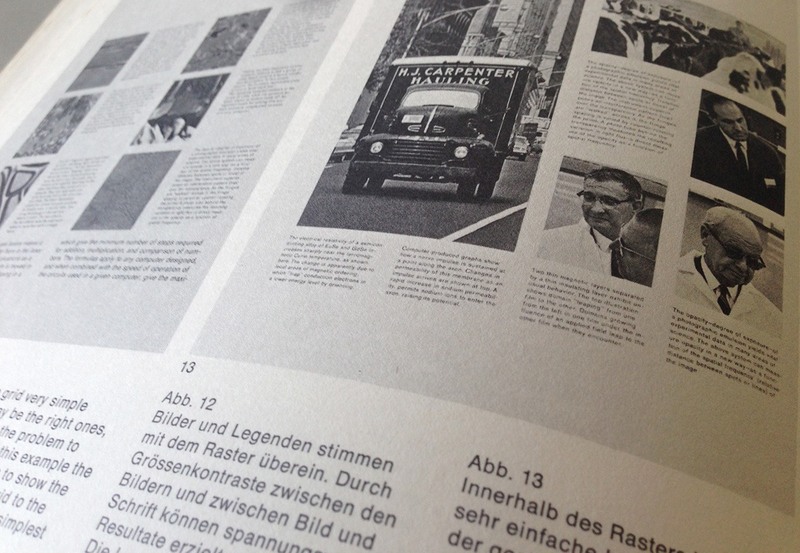 It’s a great read if you want to learn more about the foundation of swiss design – the grid. The use of the grid as an ordering system is the expression of a certain mental attitude inasmuch as it shows that the designer conceives his work in terms that are constructive and oriented to the future. This is the expression of a professional ethos: the designer’s work should have the clearly intelligible, objective, functional and aesthetic quality of mathematica thinking. His work should thus be a contribution to general culture and itself form part of it. The book is organized in 25 sections such as: Grid and design philosophy, The typographic grid, What is the purpose of teh grid?, Construction of the Grid, Construction of the type area, The photograph in the grid systems etc. There are sections that teach various aspects of working with the grid, different grid systems, a few sections that deal with type and there are also sections that showcase real world examples. There is a lot of information that is only pertinent to print, like sizes of paper, margin proportions, page numbers, construction of the type area and the typographic measuring system but most of the content applies very well to digital. One section that I though was especially interesting is “The grid in three-dimensional design”. It’s something that you don’t see often addressed in a graphic design book. It goes to show how useful the grid can be in designing a room, for example.